During January’s NAMM DJ exhibition Gemini unveiled the G4V, their new USB controller/audio interface with a 4-channel mixer. 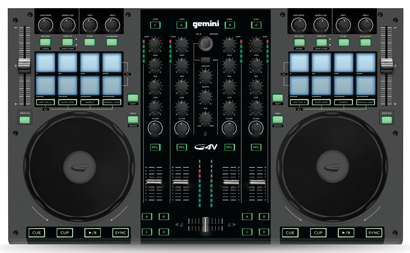 The G4V includes 2 full-featured DJ decks, touch-sensitive jog wheels, 4 channels of audio with 3-band EQ and filter controls, and 16 multi-function performance pads and rotary encoders, providing intuitive track playback and manipulation. The pre-mapped FX controls for Virtual DJ bring immediate results upon first use, while the fully MIDI mappable and high-resolution 14-bit controls give the G4V the ability to grow alongside advances in skill and in DJ software. The multi-function performance pads and rotary encoders are detailed and responsive enough for a vast array of assignments and the vivid lighting of the performance pads, function buttons, and active LED level monitors give the visual feedback required in complicated performances where a computer screen can be pressed for space. 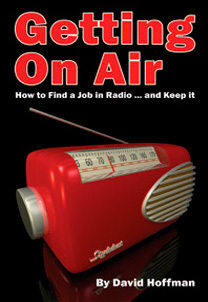 The G4V has a professional sounding 24-bit PC/MAC audio interface and all the I/O’s needed to monitor, record, playback, and connect a microphone or an auxiliary source.